To celebrate it's partners having shipped 50 billion chips, ARM is partnering with HEXUS to give two of our readers the chance to win a brand-new Samsung Chromebook 2! This 11.6in laptop is armed with a 1,366x768 screen, 4GB of RAM, 16GB of storage, Google's Chrome operating system and an ARM-based Exynos 5 Octa processor all wrapped in a lovely faux-leather skin. Hint: You can find the correct answer at 50billionchips.com. The competition winner will be picked at random from all eligible entries that arrive by midnight of the closing date, April 19, 2014. The winners will be notified via email by April 26, 2014. The winner must claim their prize within 7 days of the promoter sending notification. If the prize is unclaimed after this time, HEXUS reserves the right to offer the unclaimed prize to a substitute winner selected in accordance with these rules. 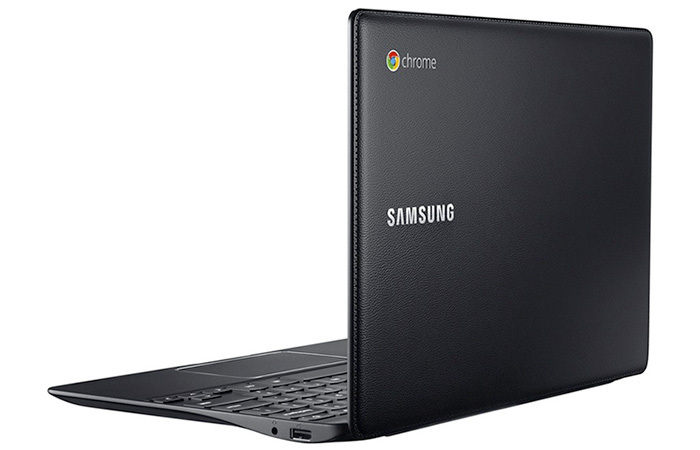 The prize is one of two Samsung Chromebook 2 laptops. Nvidia partners launch 80+ GeForce GTX 16 gaming laptops Nvidia teases GeForce GTX 16 series gaming laptops Samsung postpones Galaxy Fold consumer launch Has Samsung been chosen for Intel Xe GPU manufacturing? Does the Samsung Galaxy Fold hinge and screen lack durability? Just had my Note 8.0 stolen in Kuala Lumpur so would be pleased to have one of these. Wouldn't buy one though LOL. Well, while I love HEXUS competitions, I'll give this one a miss. Being Google, and Chrome, personally I wouldn't take a Chromebook as a gift …. or prize. So, slightly better chance for everyone else.